I want to express my gratitude to all of those who have served in the US armed forces. Of course today is Veteran’s Day in the US. I believe it’s still called Armistice Day or Remembrance Day in parts of Europe. On this day in 1918, 100 years ago exactly, the Great War—later known as World War I, of course—ended. That picture was taken in the visitors clubhouse in Los Angeles after the Padres clinched the 1996 NL Western Division title. Kevin is the one kneeling in front and I am one of the other three people. So long ago and yet still fresh in memory. When baseball’s “golden boy” was named to his first General Manager position he gave an interview to that city’s famous newspaper. In that interview he named Kevin as one of the two people who had most influenced the way he thought about baseball. The other person was yours truly. Many thanks to regular readers Charley Walters and Steve Dallas for sending emails to me with words of praise for this blog. As the late, great Saul Bellow once wrote, “We have a word for everything except for what we really think and feel.” Despite the inadequacy of words (kind of an odd thing for a blogger to write, I guess) I want to express my gratitude for their emails and for all regular readers of this blog. Disaffected Musings is very important to me and I am very proud of this blog. Even with the recent surge in readers I still wish many more people were reading. Days like today make many of us of “middle age” wax nostalgic about the past. I have written about and posted pictures of this car before, but one more time won’t hurt. 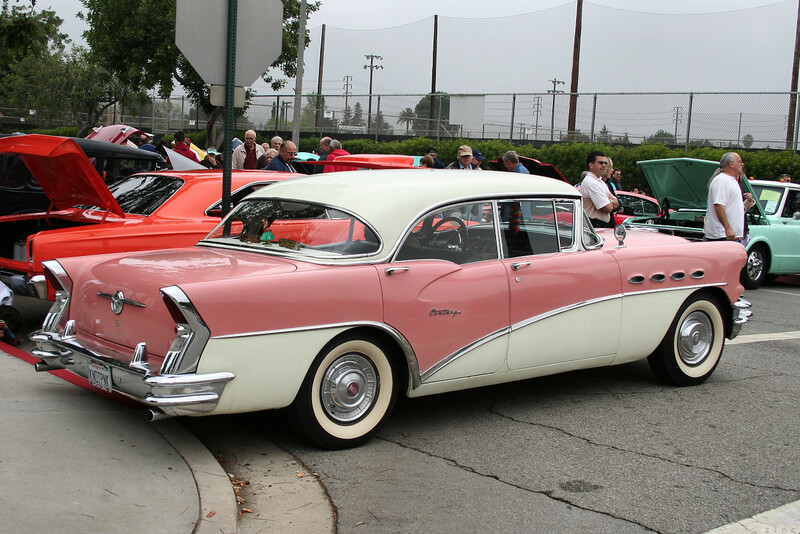 From classiccars.com a picture of a 1956 Buick Century with a great view of the front of the car. 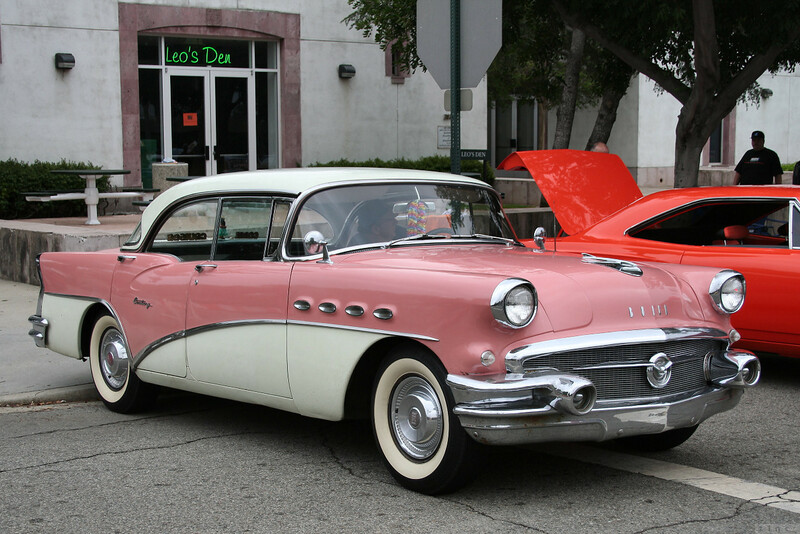 The first car I ever drove was a 1956 Buick Century that my father purchased in 1961, I believe. About 21,000 of this model were produced in 1956. The weight was about 4,200 pounds. The car seemed heavier; so much so, in fact, that our nickname for the car was “The Tank.” The MSRP of the car when new was about $3,300. The Century was powered by Buick’s Fireball V-8 of 322 cubic inch displacement that produced 255 HP/341 LB-FT of torque. The transmission was Buick’s famous (or infamous depending on your perspective) Dynaflow automatic. It was called the Dyna-Slush by detractors, but was praised for its smoothness by its supporters. As I have written before, from time to time I scratch my itch to look for a ’56 Century for sale online. I look through the ads, of which there are usually not many, and have to take a deep breath before the urge to buy one passes. One day, though, the breath might no longer work. Sunday was the only day my father didn’t work from 7 AM to 10 PM so we would often have dinner as a family and go for a drive either before or after dinner. I have fond memories of those Sundays, often spent in the back seat of the 1956 Buick Century that I have mentioned before. I loved listening to the car radio, which I thought was an amazing bit of engineering. 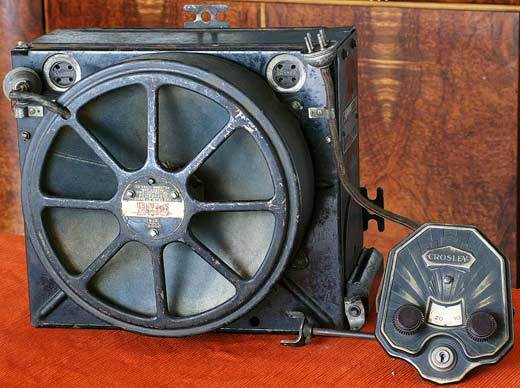 Surprisingly, it is not that easy to ascertain when the first car radio that found widespread use was actually developed. In History of the American Auto by Consumer Guide, one of their factoids for 1923 reads, “The first car radios available for factory installation are built by the Springfield Body Corporation.” An Internet search yields conflicting results. In case you don’t know (or even if you do), commercial radio broadcasts began in the US in 1920. KDKA in Pittsburgh was the first radio station to receive a “limited commercial” license although other stations had also been conducting experimental broadcasts. Don’t ask me how it worked because I don’t know and honestly don’t care. We take for granted the ability to have entertainment and information whenever we want in our car or anywhere else. It wasn’t that long ago that such access was not the norm. Once again, I am asking for “the sale.” If you like this blog, please tell your friends to read it and/or please post comments. I would very much like to read your thoughts. Photo from Barrett-Jackson.com. This 1956 Buick Century convertible was sold at the auction in Scottsdale earlier this month, hammering for $40,000, meaning the buyer actually paid $44,000. Every now and then I get an urge to find and to buy one of these, but I take a deep breath and the urge passes. One day, though, the breath won’t work.